Before starting the game, I advise you to turn on creative mode and fly over a huge square consisting of levels. Do not look closely at each level, just pay attention to the entire map, many small rooms are waiting for you. All levels are in the same spaces, the size of which is 8x8. The map is constructed in such a way that the player gradually passes each level and immediately gets to the next one. 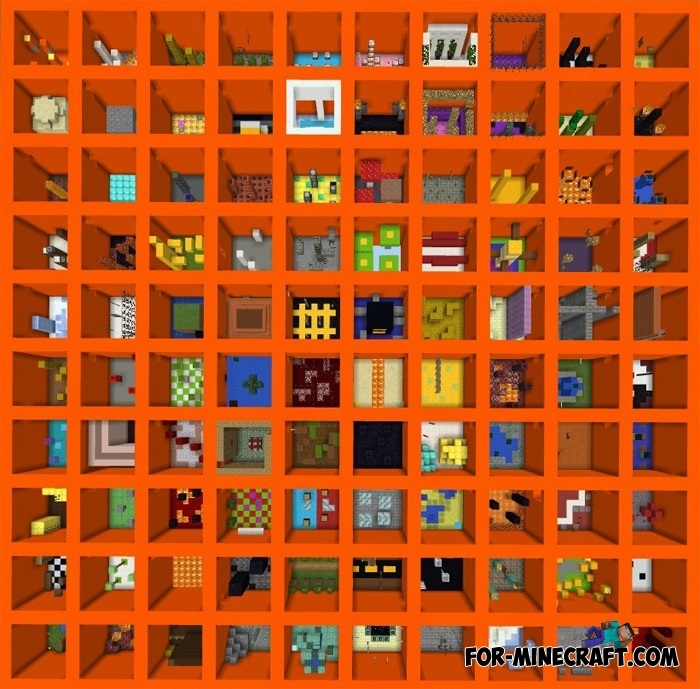 All rooms are completely different, each is a handmade by the author, symbolizing a biome or structure in Minecraft. Do not rush and look at each location with pleasure because there are still many levels ahead. 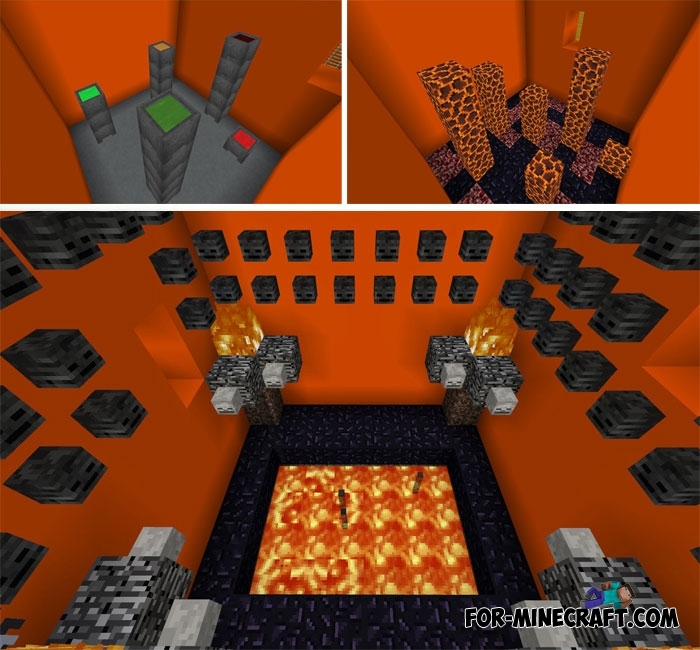 Fanta Orange PvP textures (PE 1.1)Not so long ago Minecraft PE received a new useful function that allows players to install custom texture packs when entering..